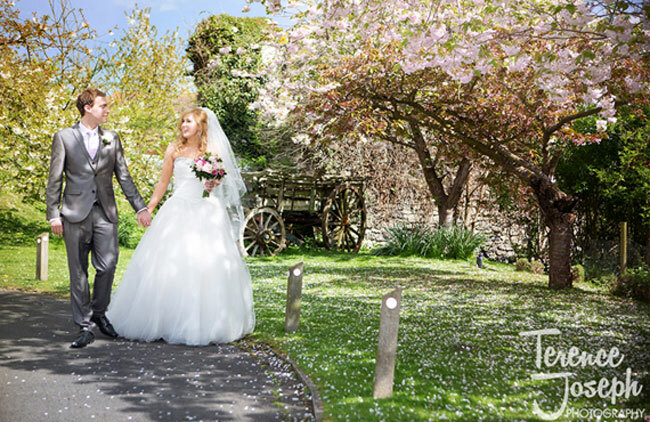 You want fabulous photos of your wedding day whether in Greater London, Kent, East Sussex, West Sussex, Surrey, Hampshire, Berkshire, Oxford, Buckinghamshire, Essex or even Hertfordshire. It’s one of the few things you’ll have left after the wedding to look back on and remember the celebration. Unfortunately, there’s about a bazillion wedding photographers out there from you to pick from. It’s simply overwhelming! Should you hire me? Maybe. Follow the steps to learn how to decide if I’m the wedding photographer for you and what to expect during the process. Step 1: Do you like my work? Take a look through my full weddings, and spend some time exploring the site. My style is emotional and photojournalistic in nature. Meaning I will capture all the natural interaction throughout your day without you feeling like your wedding is one long photo session. This way you can enjoy spending time with your guests and party like a rock star! Your portraits will be relaxed and not stiffly posed. I’ve got secret skills that help bring out your true emotion instead of forced smiles, giving you images that truly capture your relationship together. If you like what you see and think my style is a good match for you, continue to Step 2. If not, that’s okay. I wish you the best in your marriage and encourage you to keep searching for a photographer whose style is more to your liking, as you definitely want to love your wedding photos! I’m glad you like my work! Now I need to hear from you. Hop on over to my Contact Form and send me a message! I’ll respond as quick as I can to let you know if I’m available for your wedding and send you my entire pricing guide to look over. Even though I am located in London and serve most of the South East of England, it doesn’t feel very fair asking you come all the way to my location for a coffee, even if i’m buying. So I am happy to meet you half way so we can get together and show you the lovely albums and canvases I offer and talk more about your wedding. We’ll discuss how much coverage you’ll need and make sure you have exactly what you are looking for with your wedding photography. If you can’t make it half way, we can connect over the phone instead. Step 4: Decide to work with me! You won’t regret it! I’m fun, and go the extra mile to make sure your wedding photography is amazing. I don’t hold dates until I have your contract and £150 deposit, so take care of this right away so that you don’t lose your date to another couple. Once I have those two things, you’re officially booked! If you still have questions, drop us a message using our contact form and I’ll be glad to help in any way I can. I love my clients and limit the number that I take each year in order to be able to serve you really well and not get too swamped.